Rob Holland sold his 20-300S back to his former business partner, Chip. 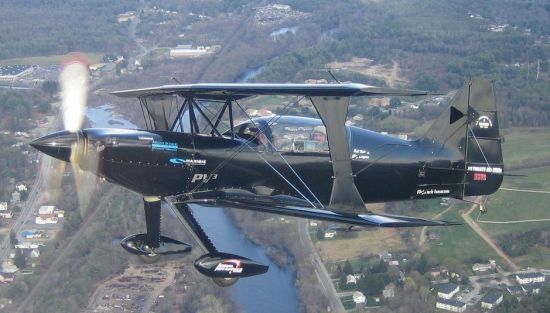 Rob now flies an MX-2 monoplane--he's moved to the dark side! From further talks with Brian, it sounds as though Chip will remove the Aerial Advantage logos and fly the plane privately. Airport-data.com says the plane belongs to Eight Alpha Charlie Corporation. I hope all is well. Excellent job with the site. Keep up the good work. The plane is still AWESOME!!!! Copyright Aerial Advantage Aviation (2007), all rights reserved. airplane....I'll fly it to where ever he is. send you a copy that you can do with as you please. The engine is an AEIO 540 that has been pumped up to 325 HP. Instrument panel: There is a Micro Air Radio and Transponder at the bottom with an intercom in between. A VM1000 all-in-one engine monitor is in the top right and an MP3 player in the top left for music choreography at airshows. I have a handheld GPS that I take with me. If anyone has any questions at all, feel free to ask any time. I don't have a lot to add to Brian's comments about the plane <see below> . The 10-300s I flew in the worlds was an incredible machine. And the 20-300S that I fly now just seems like the perfect flying machine. It is owned by my business partner in Aerial Advantage Aviation, Chip Drapeau. I have an agreement with him to use the plane in Airshows and Competitions. 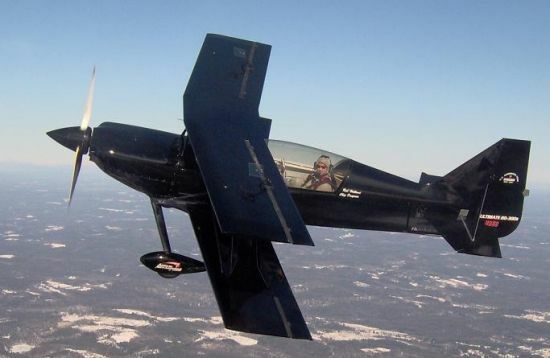 I have flown a lot of planes...135 different types logged...may of which are aerobatic, and I have to say this is probably the nicest and easiest flying aerobatic plane I have ever flown. It does everything I ask of it and more. P.S Attached are some pictures of the plane. Copyright Aerial Advantage Aviation (2005), all rights reserved. Just wanted to tell you that I finally flew Rob's 20-300S. The airplane is remarkable! It rolls approx. 380 deg/sec. It will easily achieve 2,500FT of vertical penetration. I have not timed the ROC, but it's definitely in excess of 4,000 FPM (325 hp). 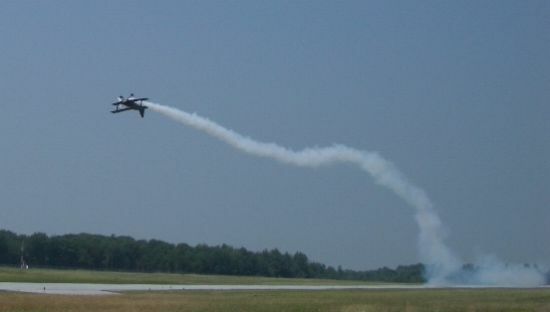 The airplane is capable of 6 to 7 vertical rolls. Hammerheads are superb. Knife-edge flight is better than I expected. 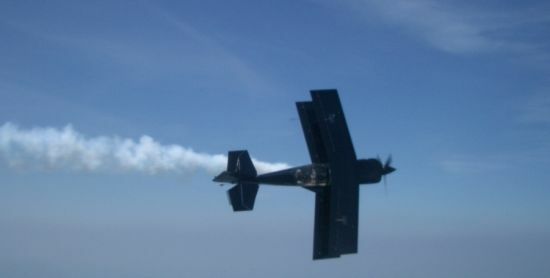 The rigid, laminar wings "bite" into the air much like a mono-plane, but not quite as much. The time in the vertical line is outstanding (about 15 seconds). This airplane holds energy extremely well, and accelerates very quickly. Top speed, level flight is about 210 mph. 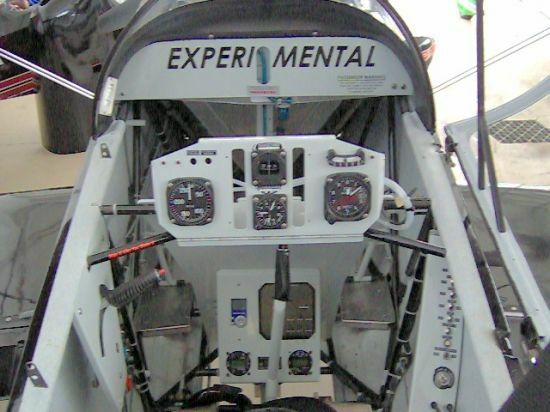 I could roll inverted, push to about 60 degrees ANU, slow to less than 50 MPH, and continue rolling, below stall speed. The airplane is very easy to fly well, much like a monoplane. The airplane presents well, even better than a monoplane--it's straight, but not too straight. The airplane combines the advantages of a monoplane, with the unique (superior) flying qualities of the biplane. The airplane far exceeds the performance, and flying qualities of the Extra 300. I can't believe the 300 series Ultimates never went further than they did. I guess Gordon didn't have enough time to show the airplane off before the company went south. Of course everyone declaring the biplane dead during the 80's didn't help. 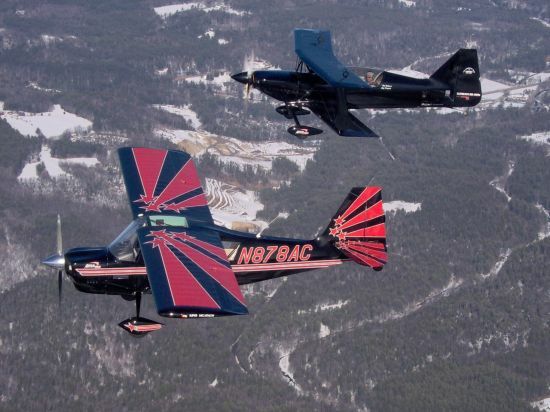 Joann Osterud disconnected the Macro Flap system, which made the airplane extremely pitch-heavy. This also made the horizontal tail work harder. This among other things ... made the airplane fly WAY BELOW its usual potential. This is why the airplane never received the recognition it deserved. 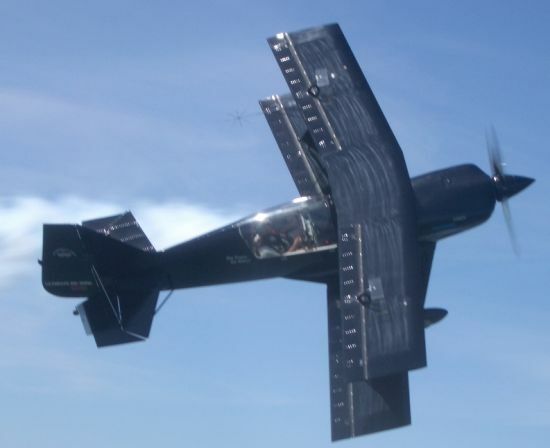 The Macro Flap system not only reduces the stall speed, but more importantly allows the airplane to transition to the vertical with much less induced drag. I was able to perform a loop from only 100 mph my first time flying the airplane. Rob has said that his 20-300S flies a little better than the 10-300S in Finland. 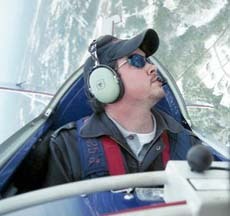 Rob has just started his air show season w/ the 20-300S, and he plans to attend the Nationals this year in Advanced. I predict that the demand for this airplane will take off. 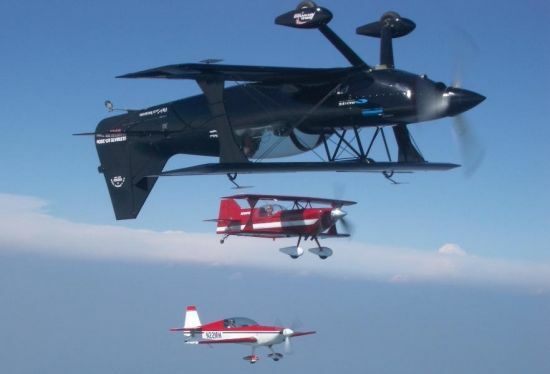 There is definitely a market in sport aviation, and aerobatics for a truly unlimited biplane that you can build. The funny thing is this machine was available 17 years ago and hardly anyone knew it! P.S. I bought the Advantage biplane recently. You can see it on the Muscle Biplane web site. It is very similar to the Ultimate. Please give my regards to Gordon; he was way ahead of his time. Just wanted to let you know that the 20-300S has flowns 5 times (after much delay). The first flight was cut short due to clogged injectors. After that, the airplane ran well. Rob reported that he was getting 205 mph indicated, and wasn't even at full power. The airplane seems to indicate that it will have outstanding performance. I'll let Rob give you the details as he conducts more flight testing. I hope all is well w/you. Have you spoken with Gordon? Please tell him that he is "The Man", and that I hope to meet him some day. Take care. Just wanted to drop you a line. The roll rate is about 400deg/sec. The controls are well harmonized. The low-speed handling (due to the flaperons) is great. Rob reports that the time in the vertical line is outstanding (specially considering that the the prop is reduced to only 2500RPM for noise consideration). He reports that this particular airplane is capable of performing 7 vertical rolls, and still hammering off the top. 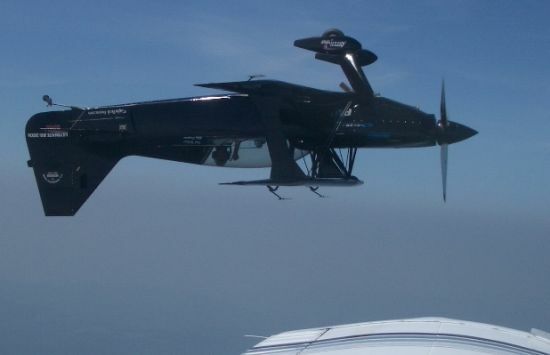 The airfoils "Bite" into the wind quickly, similar to the high-lift, laminar airfoils in the Giles, Extra etc. He was also able to perform a tourque-roll without rolling due to the full-span ailerons--very impressive. As you know, Rob and I have spent 2+ years researching these airplanes. Due to the fact that the company is gone, and there is only one 300 example flying has made it tough to find accurate info. 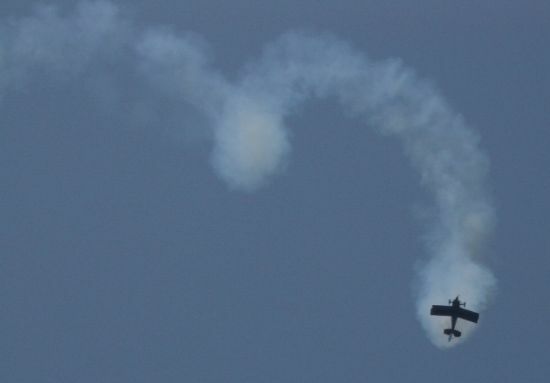 There is also a lot of conflicting information out there regarding how the airplane flew. I've talked to everyone from Steve Wolf, Robert Armstrong, Clint McHenry, the gentleman who crashed Serial #2 300S, and many more. I even managed to track down Joann Osterud (who bought Gordon's prototype) in order to get to the bottom of this. A lot of people reported that the 10-300S was a bit of a sled--not a good performer. Rob and I both think that the negative comments come from two sources. First, many of these people with whom I spoke seem to want to compare the airplane to a Pitts--IT'S NOT A PITTS. You need to evaluate the airplane for its basic handling, and performance qualities, and not compare it to any other machine. Secondly, I think that some of negative comments came from people that were mediocre pilots. Rob and I have 11,000 hours in over 200 airplanes between us. I am an airline pilot, and Rob owns and operates his own aerobatic school, and flies airshows. We were both aviation majors with strong flight dynamics and aerodynamics backrounds. Although we both still have a lot to learn, I believe that our knowledge and experience base is solid enough for honestly evaluating this airplane. I spoke with Joann for 2 hours. She reported that she had all kinds of problems with the airplane. She reported that she experience aileron reversal, and that the horizontal tail would depart (stop flying) durring certain manuvers. She also reported that the airplane woud only cruise at 140mph, and only perform 1&1/2 vertical rolls. This didn't make sense to me since I knew that Gordon flew the very same plane with much sucess. Clint McHenry also flew the airplane; in fact, he convinced Joann to buy it. Clint reported that it flew well. The only explanation that I think of was that when Joann had the airplane reassembled, the rigging was all screwed up. Steve Wolf told me that he remembers seeing the airplane when Joann owned it, and that the leading edges of both top and bottom wings seemed to be pointing toward each other. This would lead me to believe that her airplane was flying staight and level with a much larger AOA than normal. This would explain why the cruise speed was so low for such a clean and powerful machine. Of course when she went to pull vertical, she was already loaded up with too much induced drag, hence only 1 1/2 vertical rolls. She also added vortex generators to the tail and the wings to try to correct this problem. As far as I know, the Finnish 10-300S is the same as Joann's, except for the Kevlar skin. I do know from Dan Ulrich, that the plans for the 10-300S were actually drawn after the 3 planes were built, so each one might be a little different. I know on Rob's 20-300S, Gordon changed the position of the wings and the pilot. The seat is slightly more aft. I look forward to flying the 20-300S soon to see how it flies. All research seems to indicate it will fly even better that the 10-300S. This should put a lot of the myths to bed. Rob will send you a report when he returns. Gordon, you did it right!!! Well, I have finished the airshow and competition season flying the Ultimate 20-300S. I did pretty good at the nationals and am on the US Advanced aerobatic team again. The plane flew great! I have a new website up: <www.ultimateairshows.com>. There is a video on there of the plane flying: <www.ultimateairshows.com/2006promo.wmv>. People might like to actually see one fly!